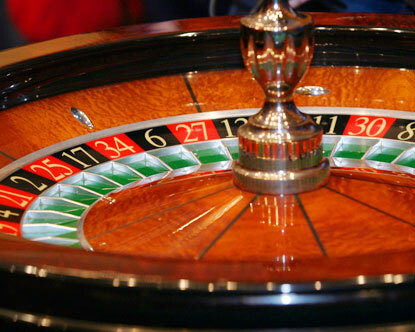 Update: It is now a year or two later and the casino debate has again come to the legislature. This time there is resounding support for it and, you might be surprised to hear that I support it too. Why the change? Job. The economy. It weighs more in the balance of good than evil at this point. Sad to say, but it is true. Without further ado: here is the original post which I still stand by given the thriving economy at the time. Recently our state legislature voted to open up a casino. It was proposed two years ago and did not pass then. At the time I wrote to my legislator, explaining how gambling negatively affects my family and asking him not to vote for it. This time, however, I understand the desperate need for jobs outweighs the negative impact a casino will have on the community. So I wasn't dismayed when it passed. However, several measures were proposed to lessen the societal harm and I'm absolutely furious that they didn't pass. Measures like: Signs posted on the machines with the odds and algorithms. Interventions after 12+ hours of consecutive gambling. Limit losses to $500 a day. Prohibit the pumping of oxygen or pheromones in the air. Displaying clocks. Creating jobs is one thing. But to have an absolute disregard for your community... it sickens me. It's like the casino lobbyists have already got these legislators in their pockets. Disgusting. This was an opportunity to take a difficult decision that needed to be made in favor of jobs and soften the negative impact on the community. They blew it big time. The legislators voted down those measures, but one representative from my county stood strong!! Rep. Cory Atkins She also proposed two measures that did pass: One that would create an optional "do not contact" list and one that requires sweeps of casino parking lots for children who might have been left in vehicles while their guardians gamble. Kudos to you Cory Atkins. I will campaign for you, should you seek reelection.